Global insect numbers are in decline – but how will it affect our lives? There are 1.4 billion insects for each and every one of us, totalling an unimaginable 10 quintillion on Earth. And although they may come across as annoying little critters, insects are a vital component for our very existence as human beings. 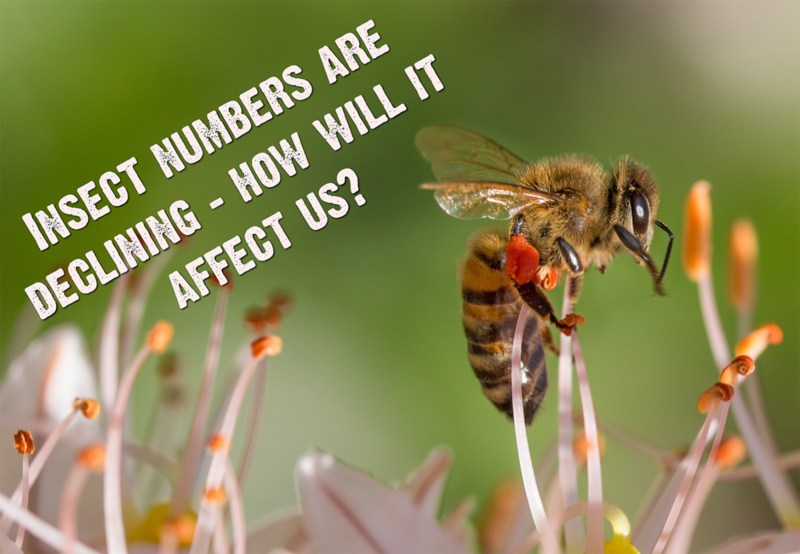 So, after a recent study was published suggesting that 40% of insect species are at risk of extinction, including butterflies, bees and dung beetles, we can assure you – this is BAD news! But why does it matter…? All insects – the good, the bad and the “ugly” – form the basis of the food web, and are the main source of food and nutrients for many fish, amphibians and birds. These animals, in turn, serve as prey for larger fish, mammals and other predators. As such, insects are clearly important players in a life-sustaining process that is critical for ecosystem function. So, not only would your local fish and chip shop go out of business, but the complete disappearance of insects could lead to a wider extinction of birds, reptiles and mammals further down the food chain. Flowering plants, including wheat, rice, fruits and vegetables, require pollination from either bees, butterflies or other pollinating insects. Without these pollinators, crops would die out, and the livestock that rely on these crops as a food source would also be wiped out. Suddenly our breakfast choices would be rather limited – no pollinators means no more toast, cereal, or even coffee in the mornings! Getting rid of our everyday waste is something we all take for granted, and many of us don’t realise the important role of insects as primary or secondary decomposers. Without decomposers such as dung beetles breaking down and removing plant waste, animal carcasses and human bodies, the result would be rather unpleasant. Your short walk to the shops, or daily commute to work, would involve sifting your way through huge piles of rotting waste and dead matter on our streets and pavements, which would increase the chance of disease – and can you imagine the smell? 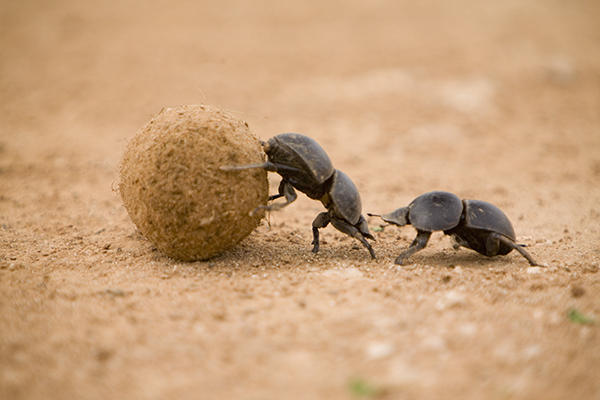 Dung beetles play a vital role in recycling nutrients and decomposing animal waste. So, this means we should stop using insecticides to kill pest insects, right? Well, it’s complicated. Let’s look at malaria as an example. Insecticides have played a significant role in reducing malaria cases, mainly in children, in recent years and if we were to stop using them, it would be catastrophic from a public health point of view. So long as this method is targeted, for example applying insecticides to bed nets or the inside of houses, instead of spraying them everywhere, this will minimise the impact on other insects. But methods for control are not always targeted, and there is likely to be an impact on non-target organisms in some way (ie other “innocent” insects). The true effect of insecticides on the global insect decline is difficult to measure accurately but they undoubtedly are impacting the environment. In the case of malaria, there is a huge ethical consideration on the value of human life versus the environment. Future methods will hopefully mean we won’t need to rely on insecticides as much. What we can be sure of, though, is that insects are an invisible and irreplaceable global work-force. Whether its plant pollination, waste decomposing, nutrient recycling or keeping crop-eating pests under control, insects support our own existence. If the current rate of insect decline continues, it will create a domino effect throughout the ecosystem that could prove cataclysmic.